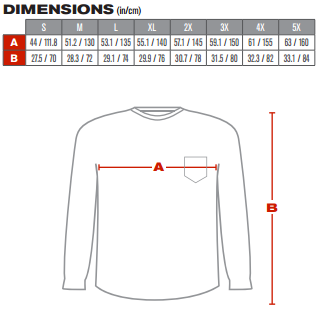 The 313-1300 is a Class 3 long sleeve tee shirt by PIP that is made with 100% polyester birdseye mesh, which is a durable lightweight performance wicking material. 2" silver reflective tape runs horizontal around the center of shirt, while 2 vertical stripes run down the front and back shoulders. Reflective tape also makes a ring around each sleeve which meets ANSI-ISEA 107 Class 3 standards. 1 chest pocket on the shirt's left side.